Are you interested in all things Raspberry Pi, or just curious about them? Come join like-minded people this Thursday at 7pm for the inaugural meeting of the Los Alamos Raspberry Pi club! At Los Alamos Makers, we've had the Coder Dojo for Teens going on for over a year now, but there haven't been any comparable programs that welcomes adults. Pi club is open to all ages. The format will be similar to Coder Dojo: no lectures or formal presentations, just a bunch of people with similar interests. Bring a project you're working on, see what other people are working on, ask questions, answer questions, trade ideas and share knowledge. Although the group is officially for Raspberry Pi hacking, I'm sure many attendees will interested in Arduino or other microcontrollers, or Beaglebones or other tiny Linux computers; conversation and projects along those lines will be welcome. Beginners are welcome too. You don't have to own a Pi, know a resistor from a capacitor, or know anything about programming. I've been asked a few times about where an adult can learn to program. The Raspberry Pi was originally introduced as a fun way to teach schoolchildren to program computers, and it includes programming resources suitable to all ages and abilities. If you want to learn programming on your own laptop rather than a Raspberry Pi, we won't turn you away. 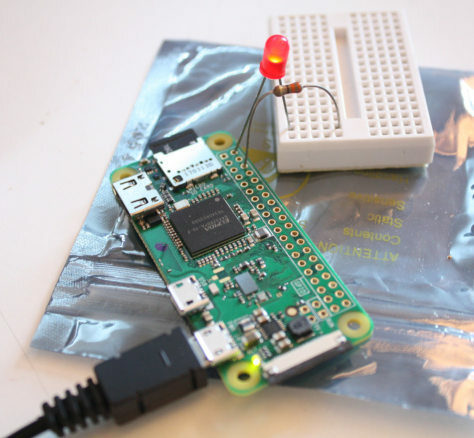 Raspberry Pi Club: Thursdays, 7pm, at Los Alamos Makers, 3540 Orange Street (the old PEEC location), Suite LV1 (the farthest door from the parking lot -- look for the "elevated walkway" painted outside the door). There's a Facebook event: Raspberry Pi club on Facebook. We have meetings scheduled for the next few Thursdays: December 7, 14, and 21, and after that we'll decide based on interest.